We are one step closer to being able to see what people are dreaming about. A team of Japanese scientists have created a device that can reconstruct images and thoughts from people currently dreaming. The device is in its basic stage, but it can output what it finds on a computer screen. While the images are not extremely vivid, this is a perfect proof of concept. The scientists showed 6 testers letters from the word “neuron”. They then proceeded to measure their brain activity and reconstruct the data to show the letters on screen. Leave it to Japan to create something so crazy as this! Also interesting, the picture above is from a “Sleep Concert”. 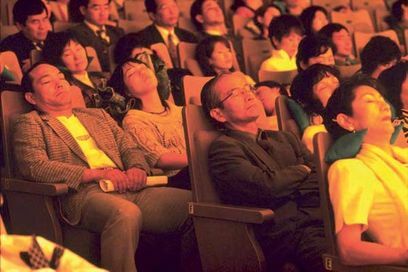 Yes, it’s a concert that is meant to put you to sleep. Read more about it here.